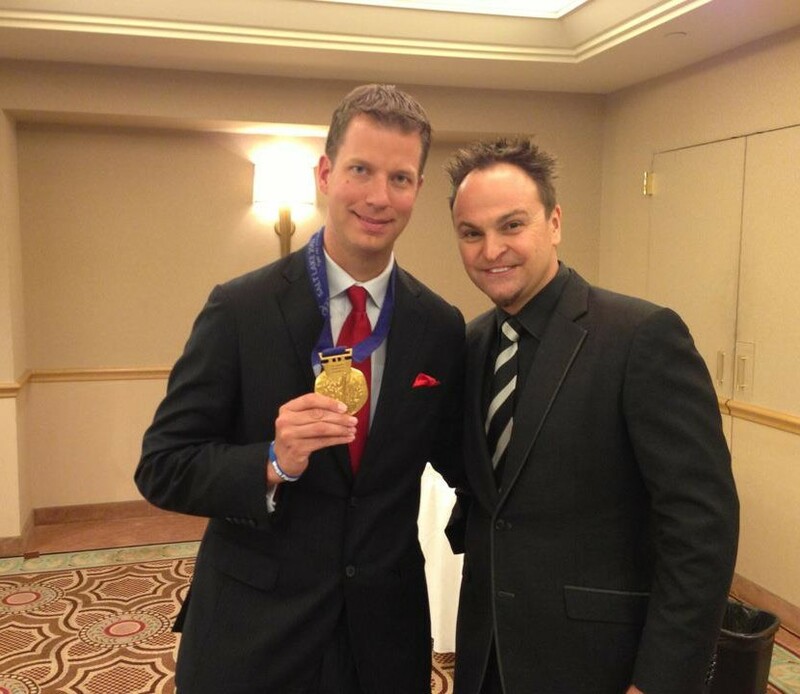 What do the Olympic Athletes and Successful Business owners have in common? Vision, Planning, Sacrifice, and Determination!! You need to look at yourself and your business and ask yourself this following question: are you willing to do what it takes to win a Gold Medal in Business? So many people often want to know how have I been able to achieve all the success that I have at such a young age…well it’s the same ingredients that make an Olympic Gold Medalist. I always have a vision and know where I am going. It’s not just a vision of where I am going tomorrow or next month; it’s the next 6 months, next year, and the next 10 years. You have to know exactly where you want to be; otherwise you won’t know how to get there. I know exactly where I want to be in 5 years, how many businesses I want to own, and how many people I want to help make successful. So I know what I need to do in order to get there. What is your vision….if you don’t know it is time to sit down and figure it out. Not tomorrow, not next week. RIGHT NOW! Now you that you have a vision, you need to make a plan of what you need to do to make that vision happen. You have to stick to that plan. If you were an Olympic Skier, your vision would be to win the gold…the plan to get there would be what you and your coach put together based on your strengths and weaknesses. Your coach would make sure that you stay on track and help you push through obstacles to make sure you are working towards your vision day in and day out. Planning and working with my coaches has been something that has been a game changer for me. When I have a coaching session with Nido he will always bring me back to my vision to make sure that I am doing what needs to be done in order to get me to the next level and stay congruent. He doesn’t let me deviate from the plan because he knows that’s where the success comes. Mark Norcross does the same for Nido and now me as he is also my coach. This is also what I do for you….keep you focused on your plan and give you the tools to make your vision happen. At every level there comes sacrifice, you have to be willing to make sacrifices in order to win big. No one wins the gold without making difficult decisions along the way and having to give things up. I am not saying you can’t have it all and that you can’t achieve balance…but in the beginning there are going to be sacrifices. You have to remember short-term sacrifices for long-term gain. It’s giving up TV, working an extra hour a day, skipping a vacation because what you are giving up now will pay off tenfold in the long run. Do you think Michael Phelps would be the most decorated Olympian of all time without making some sacrifices? I can tell you…no he wouldn’t have. He missed out on being a teenager so he could become one of the most well-known Olympians of all time. Currently I am traveling around the world to teach others how to create their own success. I am not going to sleep in my own bed or see Mr. Puppy for 2 months…that is sacrifice. Without that determination to continue, you won’t go anywhere. Everyone has a bad day, has something they have to overcome, has something go wrong. A quitter will walk away and give up, and that is the person who doesn’t qualify to make it to the Olympics. Its the same person who makes up excuses, and will never get there. Determination is that burning drive that you have inside that keeps you going and makes you fight when the average person doesn’t think they can….it makes you different from the 98% of the people out there. It’s Michael Jordan playing with the Flu, its Kerri Strug landing the vault with a broken ankle, its finding the strength to teach a room of 500 people when you have food poisoning. Without determination you are average and I know, because you are reading this, you are NOT AVERAGE. Look at the most notable Olympic Basketball team of all time, the “Dream Team.” This group of explosively talented athletes put basketball on the worldwide stage. Michael Jordan, Magic Johnson, Larry Bird, Charles Barkley, David Robinson, Karl Malone, Scottie Pippen, Chris Mullin, Clyde Drexler, and John Stockton clearly had vision, planning, coaching, made sacrifices, and had the determination to go down in history as the greatest basketball team of all time. This team not only won Gold, but they exploded the popularity of basketball around the world. Opponents of the “Dream Team” were honored to have the opportunity to play on the same court because they knew they were playing amongst best in the world. So whose court are you playing on? I’m on exactly the court I want to be on, because I know my vision and plan and know that I am making the necessary sacrifices and am more determined than ever to make it happen. I want all of you on the court along with me.